Everyone here at REM wishes you Happy Holidays. We are closed on December 24, 25, 26 and January 1. 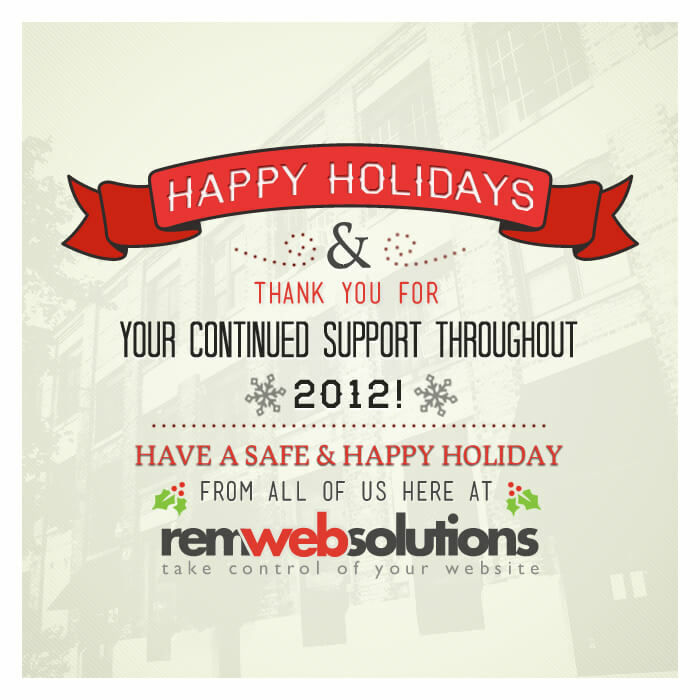 We look forward to working with you in 2013.